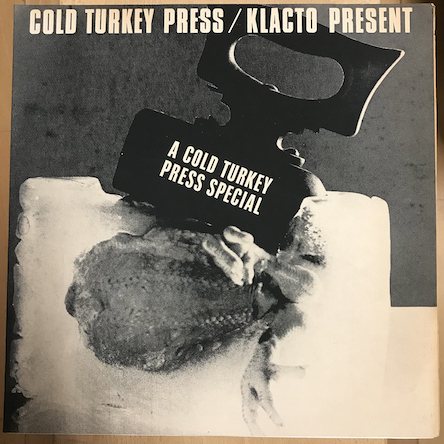 This Cold Turkey Press edition is the original Cold Turkey/Klacto poetry LP, which was pressed on the occasion of the 1972 Poetry International Festival, Rotterdam. 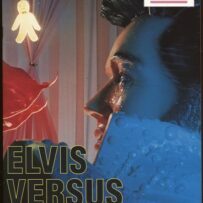 The LP consists of 10 tracks of poetry readings by then leading countercultural poets who were recorded by Carl Weissner between 1966 and 1968. JOHN GIORNO (For Fred Herko) & ALLEN GINSBERG (Kral Majales – King of May). 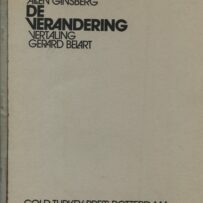 Produced for 1972 ‘Poetry International Festival Rotterdam. 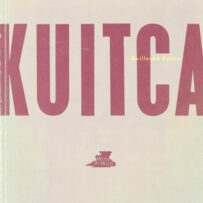 includes 15-page stapled Xeroxed booklet with texts of the recorded poems. 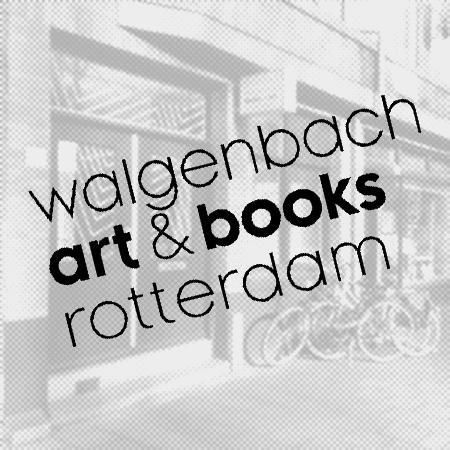 Ginsberg has commented on the performance (taped May 7th 1965) included here: ‘[The] first-ever reading of ‘Kral Majales’ was done, within weeks of writing the poem, for a small audience at Better Books, [..] London [..] I’d been kicked out of Cuba for private criticism of Castro’s gay-persecution polices and landed in Prague for a month. I’d gone on to Russia and Poland and on my way back home stopped in Czechoslovakia. There accidentally I was elected the King of May on May Day then expelled by Czech Police a week later. 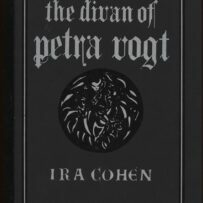 By May 9th while visiting with Dylan on the Thames Embankment he filmed ‘Don’t Look Back, ‘ and thereafter I found myself in a hotel room with him and the Beatles. I really was the King of May.’ Other dates & places of performances unknown, though Berrigan’s are likely from a 1968 Poetry Project reading. 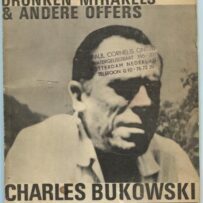 An exceedingly uncommon item (a few Bukowski sources refer to it as ultra-rare).